We have big hearts, and we have a mission to obey God’s word to serve and see His house filled. We love serving our Lord and sharing His amazing love with others in and outside our community. He has lead us to serve in nursing homes, hospitals, churches, prisons, and in the streets. He has truly blessed us with divine appointments ministering to those who are lost and/or in need. 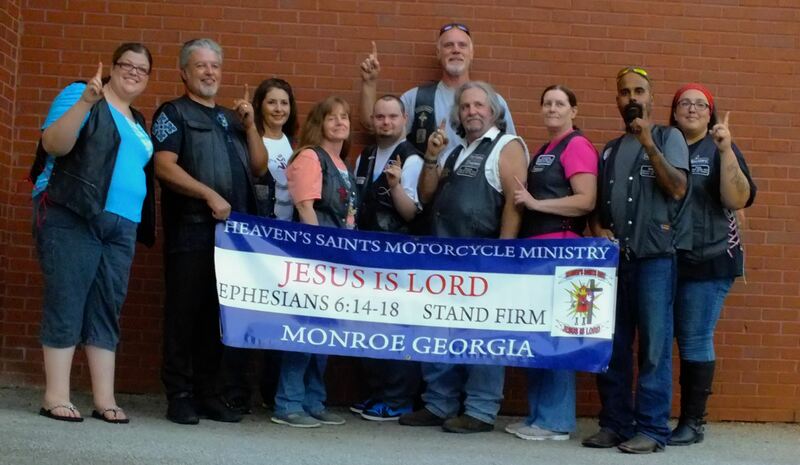 We enjoy fellowship and serving with our brothers and sisters in Christ as we participate in benefit rides, biker Sundays, and rejuvenating Christ-centered rallies. We are thankful to our almighty Lord and Savior Jesus for His enduring love, mercy, and grace of eternal life that is freely given to all those that believe. We praise His Holy Name.